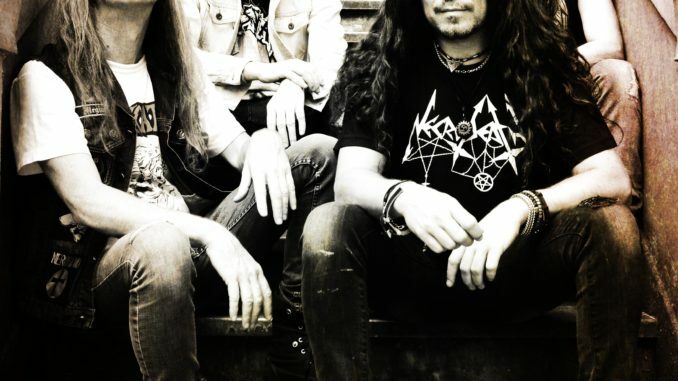 Necrodeath have released a video for the song ‘Metempsychosis’, taken from the upcoming album ‘Defragments Of Insanity’. ‘Defragments Of Insanity’ is the re-recording of Necrodeath’s second album ‘Fragments Of Insanity’, originally released in 1989. 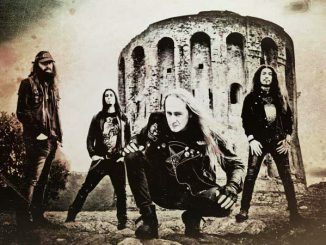 This new version succeeds in keeping the original brutality and dark mood of the album intact, yet with the very distinctive approach of the current line-up of the band, the longest-standing in Necrodeath’s illustrious career. ‘Defragments Of Insanity’ follows the release of ‘The Age Of Dead Christ’, the latest collection of original material for Necrodeath, the 11th in their career, 33 years after their inception into the scene, when the now legendary demo tape ‘The Shining Pentagram’ was released. Considered a cult classic for decades, ‘Fragments Of Insanity’ is the quintessential Thrash/Black Metal album, an album that influenced many bands over the years and has been praised by fans and artists alike. And this new version will give younger fans a chance to own a piece of history that was no longer easy to find. ‘Defragments Of Insanity’ will be released on April 5th, 2019 on Scarlet Records. A vinyl version will also be available on Terror From Hell Records. Follow www.necrodeath.net for the latest news.